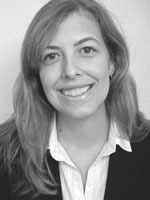 Erin Marie Furtak, had a brief career as a high school science teacher before completing her PhD in curriculum and teacher education at Stanford University in 2006 as an advisee of Richard J. Shavelson. Then, with the support of a Chancellor Fellowship from the Alexander von Humboldt Foundation, she moved to Germany to complete a postdoc at the Max Planck Institute for Human Development in Berlin and the Leibniz Institute for Science Education in Kiel. She studies professional learning environments that support science teachers in formative assessment design and practice. Her research has been awarded the Presidential Early Career Award for Scientists and Engineers (2011). She is now Associate Professor of Curriculum and Instruction: Science Education at the University of Colorado Boulder, where she has worked since January 2008.